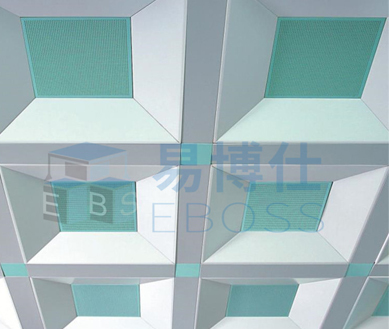 Deep type combination board ceilings,wtih a strong three-dimensional effect,fully embodsies the aluminum ceiling evolving style. Customers are free to mix different styles according to their show of love.Common color is white ,other colors can refer to our color card. lobbies,airports,subay stations,shopping malls and other places. Suitable for most indoor, such as office buildings,schools hosptals,large stores,channel,banks,etc.